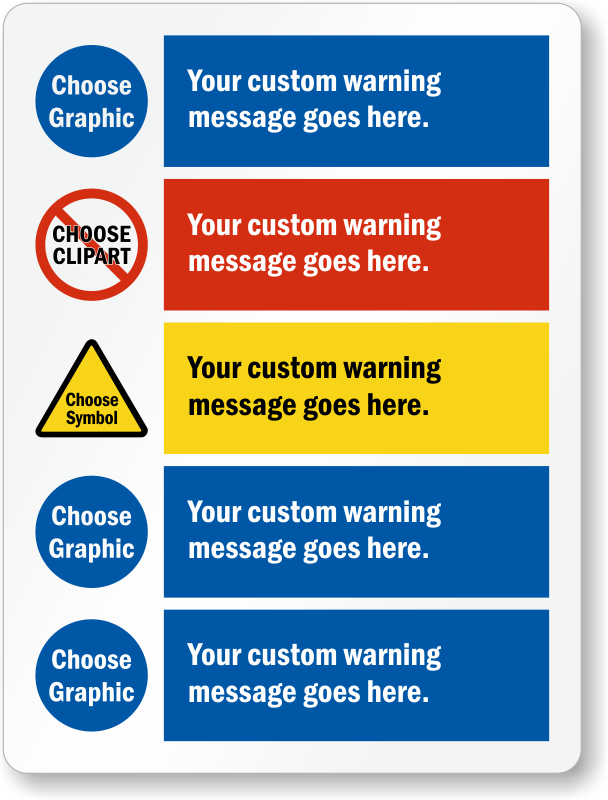 Add multiple warning messages to this template to create a comprehensive safety sign. Insert your choice of text and choose a corresponding clipart for it. Signs are mounted onto 55 mils thick HDPE (High Density Polyethylene). 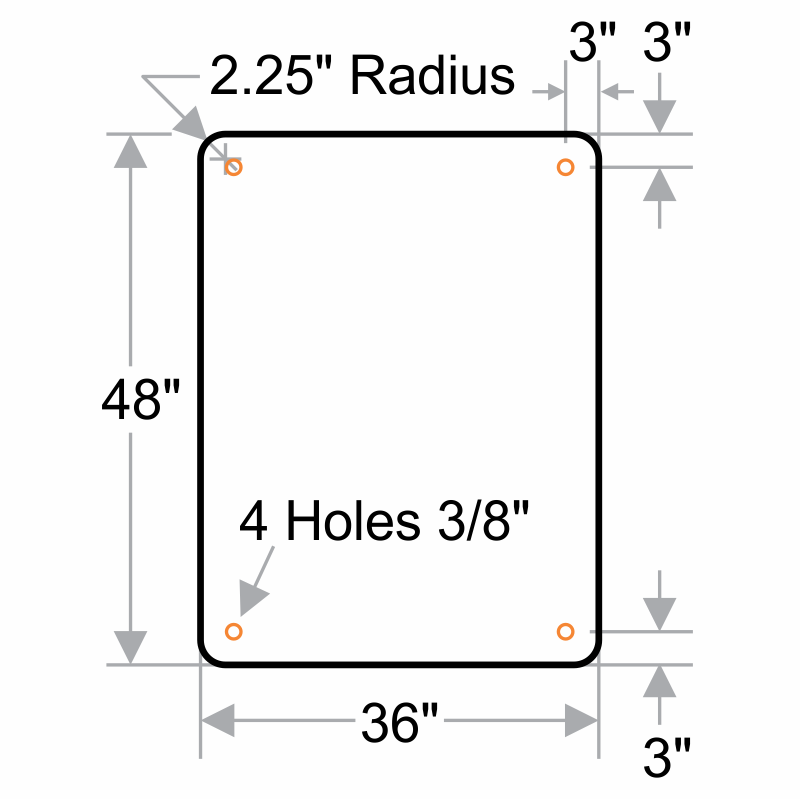 Plastic signs are ideal for pool areas, outside property rules and high traffic areas. Unlike metal signs, plastic signs do not bend. To insure proper ink adhesion, each sign is corona treated prior lamination. Polyethylene signs are loaded with UV inhibitors. 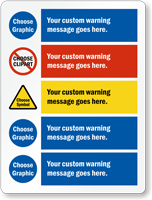 Highly resistant to water, weather and high temperatures, these polyethylene signs should last over 4 years outside. 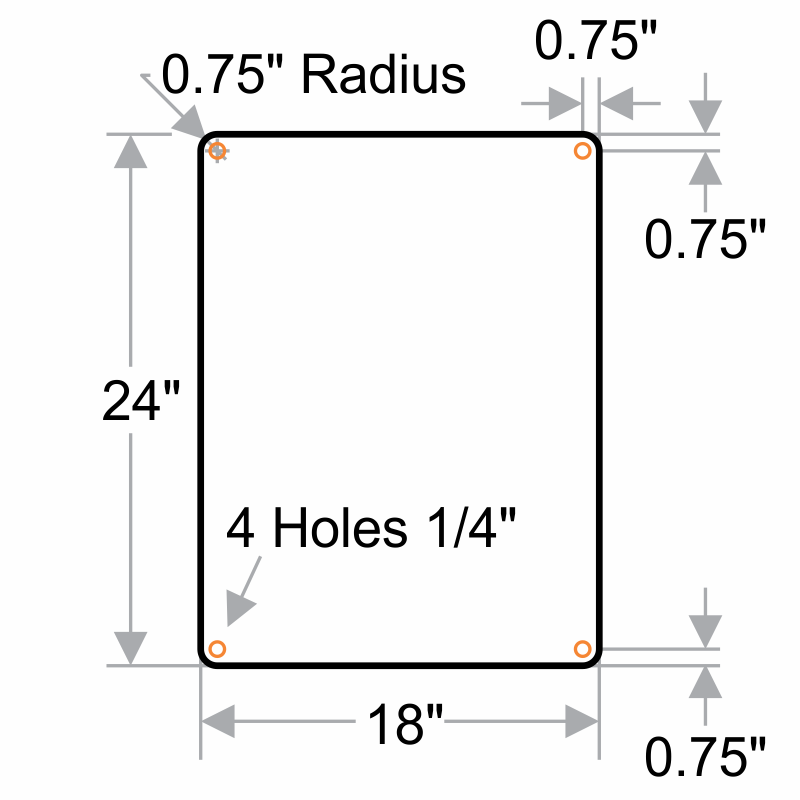 Signs have two or four holes, depending upon the design. They can be nailed, screwed or rivetted to any surface. 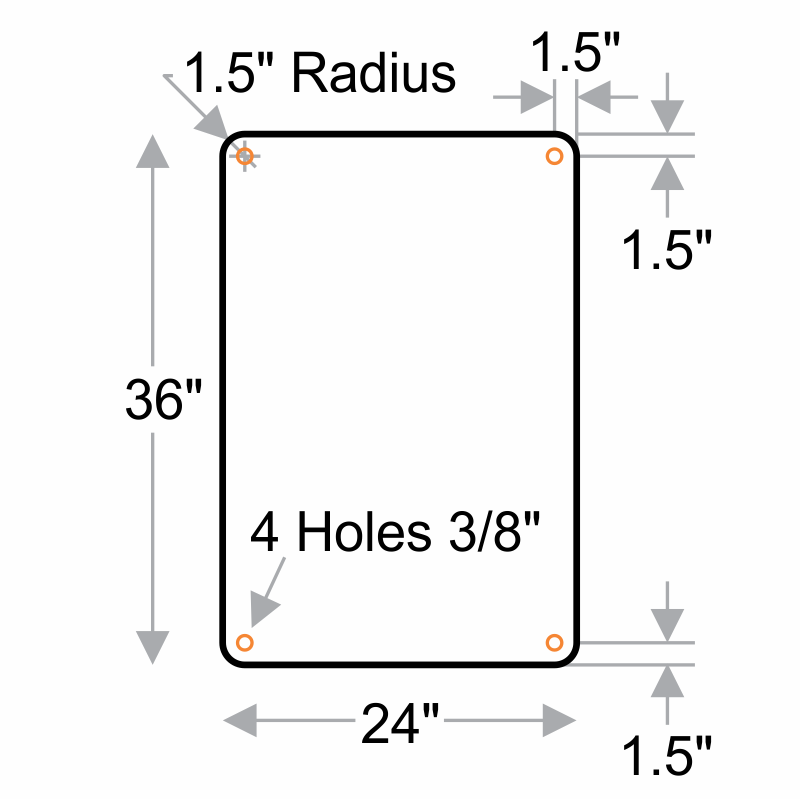 Lightweight signs have rounded corners and are easy to install. 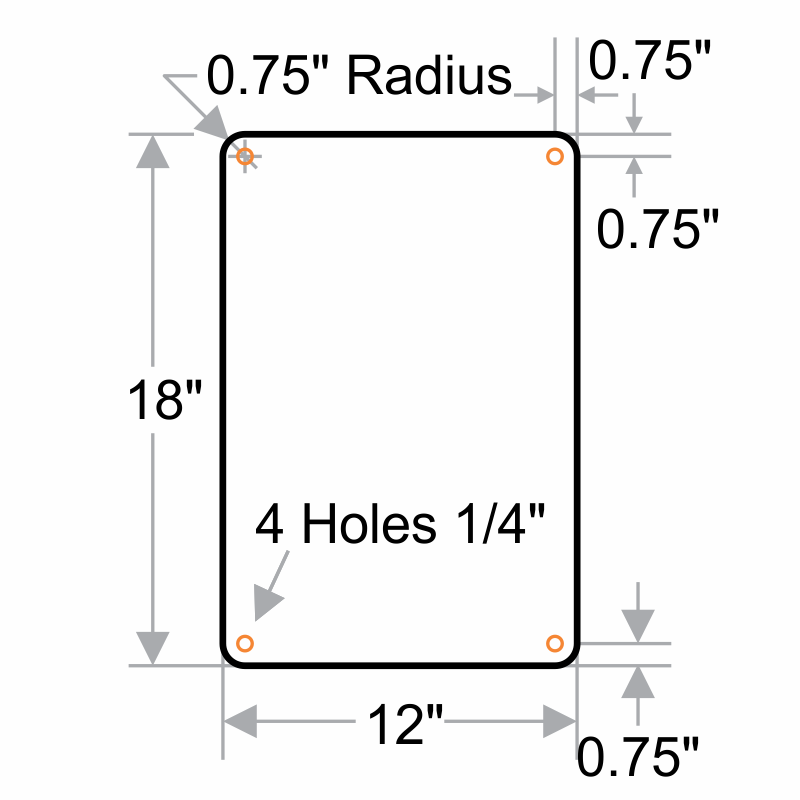 Rounded corners give the signs a professional appearance (when compared to lower cost square corners). 160 mil thick corrugated polypropylene plastic is tougher than corrugated fiberboard, yet lighter and easier to handle than extruded plastic sheeting. Printed on high resolution digital ink jet equipment, graphics, logos and tints are reproduced faithfully. Durable enough to resist extended outdoor exposure, signs are also resistant to most household chemicals.